During the Crimean War, she and a team of nurses improved conditions at a British base hospital, reducing the death count by two-thirds. Her writings sparked worldwide health care reform. 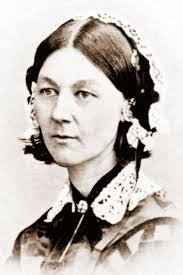 In 1860 she established St. Thomas' Hospital and the Nightingale Training School for Nurses. She died August 13, 1910, in London.